and says that we are to walk the streets with respect. we are to buy groceries, not sell ourselves. and examines vegetables for their lies. measures how we care for ourselves. has it been nearly as faithful as she is? full of squalls and giggles and milk. of little children. i am 14. “habibti, we carry children in our wombs. she scalds me with her glare. for the streets are angry and on fire. where police run and threaten. than i knew earth could hold. she leans near and takes my hand in hers. “but, mama, why are we here? but women flowered this uprising. brought spring after thirty years of winter. 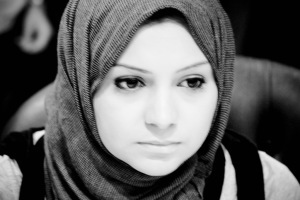 ** Note 2: Long before the Arab Spring, a young Egyptian woman named Israa Abdel-Fattah organized the first Facebook-generated general strike in Egypt in 2008. Abdel-Fattah, dubbed Facebook Girl, called for a peaceful strike in support of workers in the industrial town of El-Mahalta El-Kubra. She also called the strike to protest a myriad of social ills, including police torture, fabricated criminal charges against innocent people, unfair wages and a corrupt judiciary. From her courageous post, she became a symbol of resistance against political corruption and injustice. Abdel-Fattah co-founded the April 6 Youth Movement and then created a page on Facebook, calling for a general strike on April 6, 2008. The news spread like wildfire and on what would normally be a busy workday in Cairo was anything but, leading the New York Times to write, “The eerie emptiness of the normally teeming streets of Cairo signaled the depth of discontent with President Hosni Mubarak’s government.” A few days later, Egyptian security forces arrested her and detained her for two weeks. The Youth Movement grew into a popular political party. 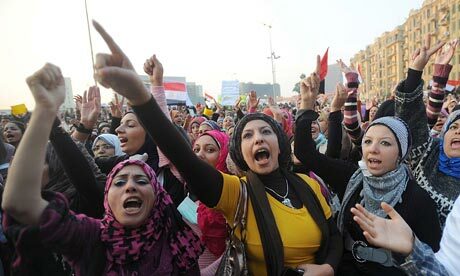 Abdel-Fattah reappeared again this year during the January protests in Egypt. She was active on the Internet, and also on the ground, updating Al Jazeera TV with the latest news related to the opposition. This entry was posted in Activism and tagged activism, arab spring, blkcowrie, international women's day, power, protest, she breathes, women, women's work. Bookmark the permalink. This poem is simply breathtaking! You have made a world far from me so real and tangible. I am inspired by this poem. Your words are beautiful, and this just makes me so exited to see what else is posted on the blog in the future. Yes! Love this. It also felt really appropriate given the history of IWD. Resistance is women’s work! Oh man, this is wonderful! Thank you so so so much for kicking off the blog with such a beautiful and powerful piece! And thank you for naming us – it’s so right! awww…thanx, hon! ‘n gratitude to all of your hard work and vision in birthing this space into existence. 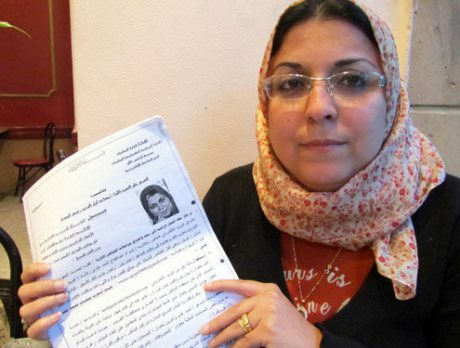 To read about blossom of my “sister” from Egypt brings chills to my body! Althoug I have yet to visit one of the beauties I call home, I have this deep connection with the streets, buildings, and nature of Egypt. The work of my “sister” deepens my desire to visit or maybe live one day. wow…i am honored this poem has touched you so. thank you.